Tickle your feet and traipse off to Monaco for a world-class vacation that sets the adventurer alive in you. Glorious sunshine for three hundred days out of the year and a glamorous lifestyle have beckoned to many individuals who have chosen to make this exciting place their home. That says a lot to recommend this destination for a visit. The Musée Océanographique has an excellent display of living coral. Quite possibly, the museum is the finest aquarium in all of Europe possessing an awesome array of fish in as many as ninety seawater tanks. Many ocean explorers are featured in clever displays, including the ever-famous Jacques Cousteau. 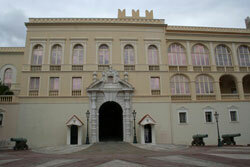 Palais du Prince, Monaco’s royal palace, is open to the public. Fifteen rooms entrenched in history, including the Throne Room, offer plenty to see. In fact, a unique collection of knickknacks owned by Napoleon is the highlight of the south wing of the palace. The collection includes memorabilia from his military career including medals, uniforms, swords, and coins. Gardeners will delight in a visit to the Jardin Exotique, as long as they watch where they are going and avoid being pricked by one of the more than seven thousand varieties of cacti and other succulents in the garden. The views from here are spectacular and make the trip worthwhile. Moreover, your admission fee to the garden includes entry into the Musée d’Anthropologie. This museum is home to numerous stalactites and stalagmites of varying sizes.